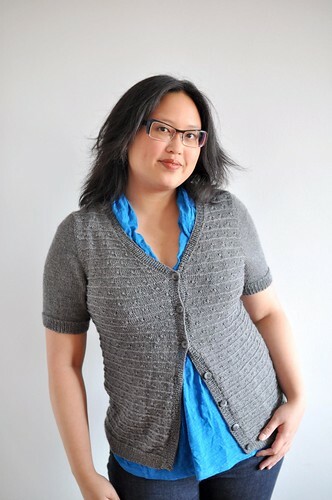 Sauble is a light, comfortable cardigan perfect for layering. The short sleeves and V-neck are easy to wear over your favourite T-shirts and dresses. 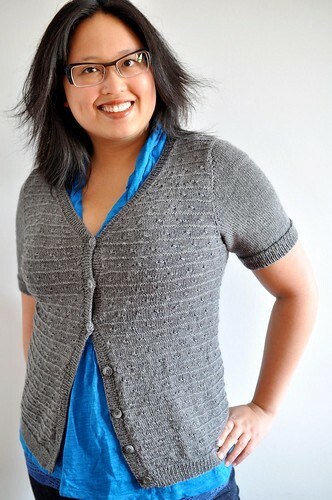 The Wildflower Knot stitch is elegant and fun to knit, and this cardigan is a great way to use just a few skeins of sock yarn. 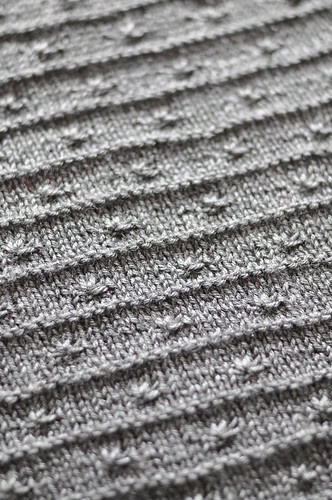 Sauble is knit from the bottom up, with the body worked flat in one piece to the underarm. The set-in sleeves are knit flat and seamed for a great fit. Meant to be worn with 0-2” / 0-5cm ease at the bust. For the best fit, measure a sweater you like the fit of, and make the size closest to it. Shown in size 39.5” / 88cm with 1” / 2.5cm ease. 7 page PDF pattern includes schematic and abbreviations. Measurements in imperial and metric.